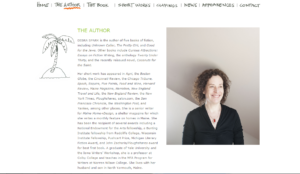 DEBRA SPARK is the author of five books of fiction, including Unknown Caller, The Pretty Girl, and Good for the Jews. Other books include Curious Attractions: Essays on Fiction Writing, the anthology Twenty Under Thirty, and the recently reissued novel, Coconuts for the Saint. 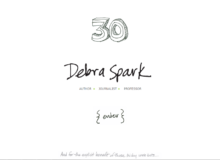 Debra Spark was built in Native HTML making it difficult for her to add new contents on her website, until DCGWS introduced WordPress to be the platform of Debra Spark. The DCGWS Team started cloning her website as soon as they got their approval from the client. With quality of supervision, The Team made sure that every details were consistent and was accurately converted to WordPress. DCGWS Internet Solutions successfully converted Debra Spark. click here.